Seth Griffith’s goal at the 2:00 mark of the third overtime gave the Providence Bruins a 2-1 win over the Wolf Pack Sunday night at the Dunkin’ Donuts Center Providence, and a two-games-to-one lead in the teams’ best-of-five first-round playoff series. 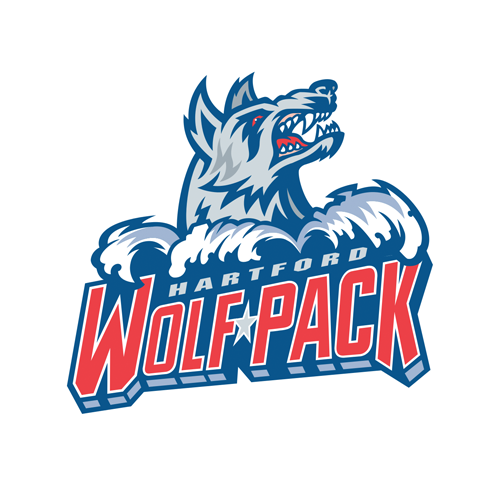 The game was the second-longest in Wolf Pack history, surpassed only by a game the Wolf Pack won against the Worcester IceCats May 5, 2004, on a goal by current Hartford head coach Ken Gernander at 7:49 of the third OT. On the winning play, Griffith worked the puck away from Dylan McIlrath in center ice and moved down right wing in the Wolf Pack zone. 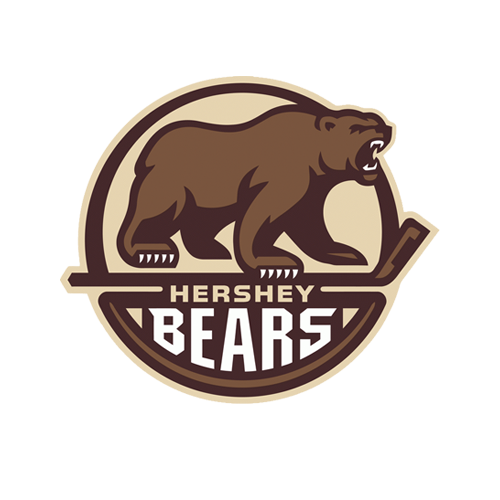 He dragged the puck to the middle around a diving Wolf Pack defender, and snapped it into the top shelf over the catching glove of goaltender Yann Danis (45 saves). The Wolf Pack had a strong first period, outshooting the Bruins 9-3 and scoring their first power-play goal of the series. It would be Brady Skjei getting his first pro point with a man-advantage tally at 10:33, with Ben Sexton in the penalty box for roughing. Michael Kostka dropped the puck back to Skjei at the middle of the blue line, and Skjei’s shot went through a screen and got by Providence goaltender Malcolm Subban (46 saves) on the stick side. That lead lasted into the dying seconds of the second period, but the Bruins finally solved Danis with only 5.9 seconds remaining in the middle frame. A shot by Chris Breen from the top of the right circle squeezed through Danis pads and out to the opposite side, where Alexander Khokhlachev was unchecked and was easily able to bang it into the net, for his second goal of the series. That, as it would turn out, would be the last scoring for over 60 minutes of hockey, as the third period and two full overtimes failed to produce another goal. The Wolf Pack now need a win to stay alive in Game Four of the series, which is back at the Dunkin’ Donuts Centers this Tuesday, April 28, with faceoff at 7:05 PM. All of the action of that battle can be heard live on-line at www.979espn.com and on iHeartRadio. 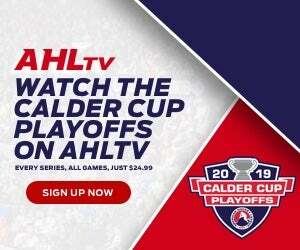 Video streaming is available at www.ahllive.com. 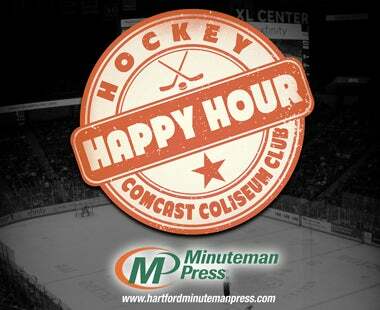 If the Wolf Pack win Tuesday, a decisive Game Five would be this Friday, May 1 at the XL Center, at 7:00. 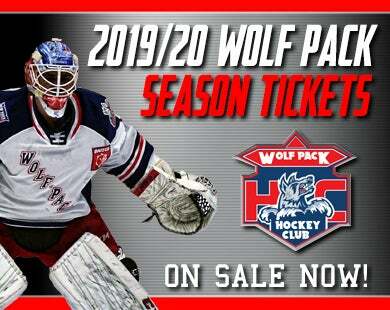 Wolf Pack home playoff tickets are available at the Agera Energy Ticket Office at the XL Center, on-line at www.hartfordwolfpack.com and by phone at (877) 522-8499. 1st Period-1, Hartford, Skjei 1 (Kostka, Kristo), 10:33 (PP). Penalties-Spinell Hfd (holding), 4:54; Sexton Pro (roughing), 9:01. 2nd Period-2, Providence, Khokhlachev 2 (Stuart, Breen), 19:54. Penalties-Skjei Hfd (roughing), 12:14; Stuart Pro (delay of game), 16:47. 3rd Period- No Scoring. Penalties-Nehring Hfd (roughing), 6:20; Cross Pro (roughing), 6:20; Kostka Hfd (interference), 13:17. Shots on Goal-Hartford 9-7-9-4-16-2-47. Providence 3-11-10-11-11-1-47. Power Play Opportunities-Hartford 1 / 2; Providence 0 / 3. Goalies-Hartford, Danis 1-1-0 (47 shots-45 saves). Providence, Subban 1-0-0 (47 shots-46 saves). Referees-Geno Binda (22), Ryan Hersey (8). Linesmen-Bob Bernard (42), Ed Boyle (81).